When viewed under high-intensity blue light (450 nm), FluidSafe's bright green fluorescent glow can be seen under the skin, enabling the quick detection of an injection injury on site. This not only allows triage of cases not requiring surgery, but also helps pinpoint the exact location of hydraulic fluid under the skin, assisting in limiting soft tissue dissection required during surgery. The green fluorescent response will remain visible in the tissue for at least 24 hours, with no ill effects to the human body. Another benefit of FluidSafe is that it helps detect leaks in fluid power system hoses, fittings, seals and other components. 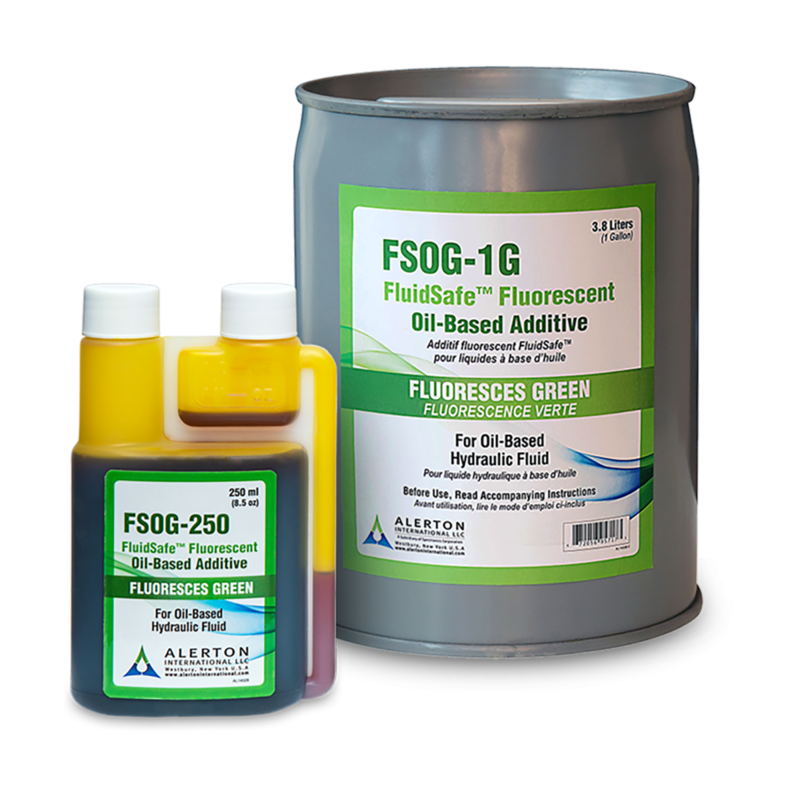 This decreases the consumption of hydraulic fluid, reduces the potential for equipment breakdowns, minimizes environmental damage, and helps prevent fluid release incidents. As a result, FluidSafe is ideal for preventive maintenance programs.